Fixed income investors were spoilt for choice with four public issues of non-convertible debentures (NCDs) worth more than Rs 20,000 crore were launched during last 100 days to raise money to meet credit demand. The recent NCD Issues were offered by Manappuram Finance, India Infoline, TATA Capital, Aadhar Housing, Indiabulls Commercial, Shriram Transport Finance etc.,. Indiabulls Consumer Finance Ltd (ICFL) is proposing to offer latest NCD issue. ICFLis going to offer Secured redeemable NCDs. The proposed public issue of these Bonds will be open for subscription from 4th February, 2019 to 4th March, 2019. Indiabulls Consumer Finance Ltd (ICFL) is part of the Indiabulls Ventures group, which is a prominent financial services company providing brokering, lending and wealth management businesses, amongst other businesses. As at March 31, 2018, its gross NPAs as a percentage of AUM was 0.05%, and net NPAs as a percentage of AUM was 0.05%. Issue Closes on : 4th Mar, 2019. Interest Rate or Coupon Rate on NCDs : The ROI ranges from 10.40% to 11% depending on the category of investor and tenure of the NCDs. Credit Ratings : Credit Rating of “CARE AA; Outlook: Stable” for an amount of Rs. 3,000 crore, by CARE Ratings Limited and “BWR AA+; Outlook: Stable” for an amount of Rs. 3,000 crore, by Brickwork Ratings. 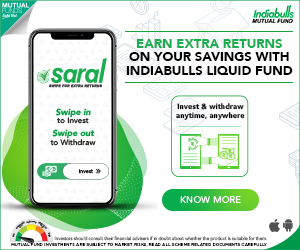 Should you invest in Indiabulls Consumer Finance NCD Feb 2019 Issue? As we all are aware that interest rates on fixed income securities have reached their lowest levels. The bank interest rates are showing some signs of up-trend, hence it is advisable to avoid investing in medium to long-term NCDs now. Also, the NPA (Non-Performing Assets) related problems have been plaguing the banking sector (NBFCs as well). The current cash/liquidity crunch may also have a deeper impact on NBFCs businesses in the near future. Just a few months back Indiabulls Commercial Credit had come up with its NCD Isssue in Sep 2018. The interest rates offered were around 9%. If you notice that Indiabulls commercial Fin is now offering rates of around 10 to 11%. This shows that NBFCs are finding it tough to get the credit and hence are ready to offer attractive rates through NCD offerings. Considering this scenario, if you could afford to take some risk, looking for regular interest income and are in 10% or 20% income tax slab rate, you may consider investing in 26 / 38 month NCD Series. Snapshot of the most Popular Investment options, all in one place! Kindly note that Liquids funds are one of the types of Debt Funds. Indexation benefit is not applicable for Equity funds/Stocks. If your investment objective is ‘safety’ of capital then kindly invest in Bank FD. sir , i want to sale my house for 15 lacks which is purchased in the year 2010 @ 7.2 lacks how much i have to pay for tax and what is the best option for investment. You may kindly go through this article @ How to calculate Capital Gains Tax & How to save Capital Gains Tax on Sale of Land / House Property? No, the maximum limit is Rs 1.5 lakh. You can also open PPF accounts in name of your spouse or children. You can invest a maximum of Rs.1,50,000 in your name and minor kid’s name. You can also invest maximum of Rs 1.5 Lakh in your spouse’s name but do remember that you can claim Rs 1.5 Lakh only as tax deduction. 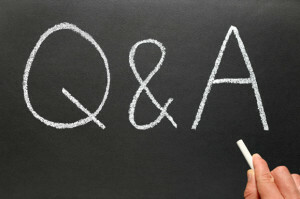 Quick question – what is the tax treatment of cumulative ncd when held till maturity. The accumulated amount is Tax-exempt, if you show the interest income is as taxable income yearly in your ITR. Yeah but why would you do that – personal income tax is always calculated on cash basis, not accrual basis. So assume we dont show interest income yearly in ETR – what happens when we get the principal+accumulated interest back after 5 years (say)?? Is this treated as interest income or cap gains (also say bond was listed). For instance, the taxes on Bank FD (over and above the TDS amount) and full tax amount on RD can be paid either in every financial year (or) on maturity. We can choose when to pay the taxes on FD and RD on maturity, instead of each Financial Year. But, once opted (when to pay the taxes) we need to stick to the same method. (Actually in accounting terms these are known as ‘Mercantile’ or ‘Cash’ accounting methods). The interest income from a NCD and tax treatment is exactly similar to any other interest income such as interest income from FDs. In other words, interest income from NCDs will be subjected to tax at normal rates by including it in ‘Income from other sources’. If you decide to sell the NCDs on the stock exchange, capital gains can also arise. If NCDs are sold with in a period of 12 months from the date of allotment, short term capital gains / loss (STCG) will arise and if you decide to sell NCDs after a period of 12 months, the resulting gain or loss is called long term capital gains / loss (LTCG).